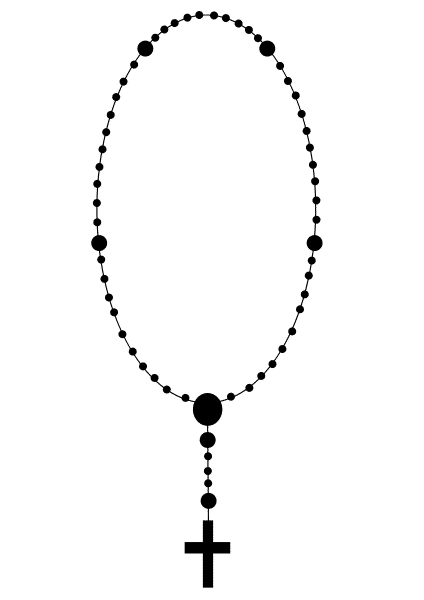 A rosary, loosely defined as a ring of roses is a beaded chain with a repeating pattern of one large bead and ten smaller beads (also known as Aves) used by Roman Catholics to count prayers. Rosaries usually have a short strand beginning with a cross for reciting the Apostle’s Creed followed by three smaller beads for saying the Hail Mary followed by a large bead for praying Glory be to the Father. A loop of five sets of one large and ten smaller beads are used to say the Lord’s Prayer and ten Hail Marys in succession. 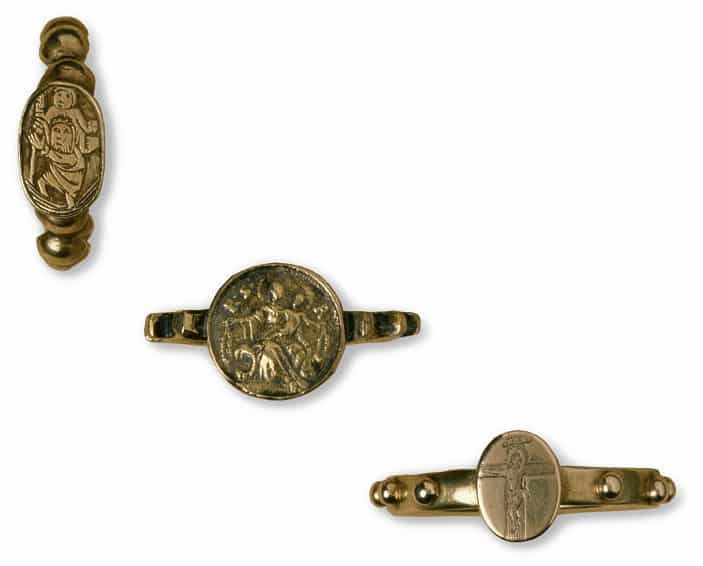 One decade rosaries exist as rosary rings or as decade rings and single strands similar to worry beads. Victoria & Albert Museum Collection.